SX4250 Swinging-Bucket Rotor, Aluminum. Major applications: Rapidly sediments protein precipitates, large particles, cells, and cell debris. Can also be used for binding studies and for separating serum from whole blood. Place: 4 Volume: 250 mL Swinging Bucket Rotor with 4 Buckets, Allegra X-22, Allegra X-22R, Max RPM 4,200, 4,500; Max RCF, 3,398, 3,901. 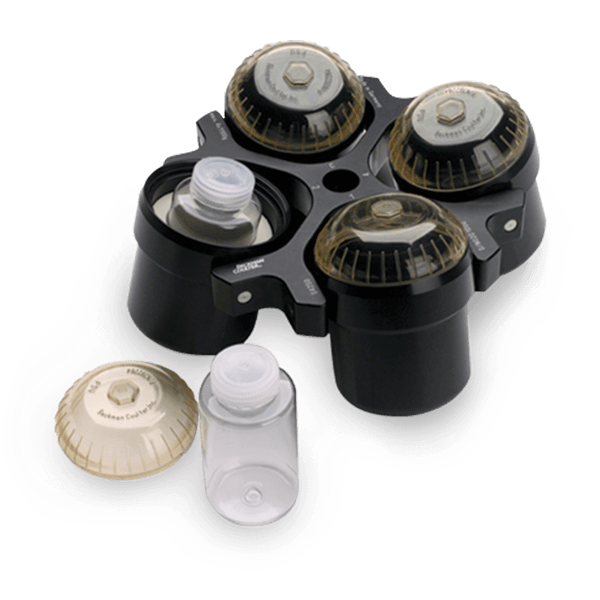 For use in Allegra X-22 Series centrifuges.